Dark Mean are organic. They’re free range, corn fed and approved by the FSA. They’re like an ostrich burger that’s fresh from a festival burger van. You can tell it’s hand-made, put together by inexperienced chef but there’s so much passion and love that’s gone into it, it leaves a far superior taste in the mouth. It’s difficult not to be drawn into Dark Mean. There’s something captivating about their brand of acoustic indie that exudes sympathy and consequently, causes the listener to relate to every word that frontman Mark Dean sings. Up until now they’ve released two fairly successful EPs (Music Box is reviewed here) – both of which caused if not sizeable ripples, at least measureable ones – and despite me having some vague notion of a third, this is their full size debut release. To give some context and direction – 7 of the album’s 10 tracks featured in some form or another on one of the aforementioned EPs and although they’ve been given refreshment and reworking in some cases, it suggests that we shouldn’t expect a vastly different experience that which Dark Mean have historically provided. But if we flip that particular coin, it’s plain why they’ve done it and actually makes a lot of sense to bring together the on and off ramblings from the course of the last three years, in one neat and digestible package. So how about the music? Well in short, it’s great. Lo-fi, DIY type sounds are becoming increasingly popular with the likes of Maxwell Panther and Dirty Projectors both strong, creative advocates of this sound – often to a fault – but Dark Mean have got just the right measure of passion against professionalism. There’s enough rawness in there to bring out the real love for the music, and to give a sense of a cohesive unit rather than the sum of it’s parts. But there always needs to be some quality in the work that’s produced (in both senses of the word) and rightly or wrongly, sweeping judgments are often made within seconds rather than minutes of hearing a new track. I’ll admit I’ve been guilty of this in the past and it’s very often sound and production quality that keeps indifferent ears interested. Tracks such as Happy Banjo emphasis this point perfectly and, having featured on the frankencottage EP, also show subtle but welcome improvements on it’s original form. Beginning with now-improved, rock solid drums, the track slowly builds, beginning with a banjo (song titles aren’t Dark Mean’s particular forte, but it’s not something I’m much bothered by) and slowly adding layer by layer in and around what becomes a simple yet memorable vocal melody. Lullaby is another song that follows this suit and one that culminates in what’s undoubtedly a memorable audience sing-along given the chance – and Smoke Lake (known as frankencottage in a former life) is another well-constructed tune with a distinctly poppier edge, but one that still leaves a melodic taste in the mouth. 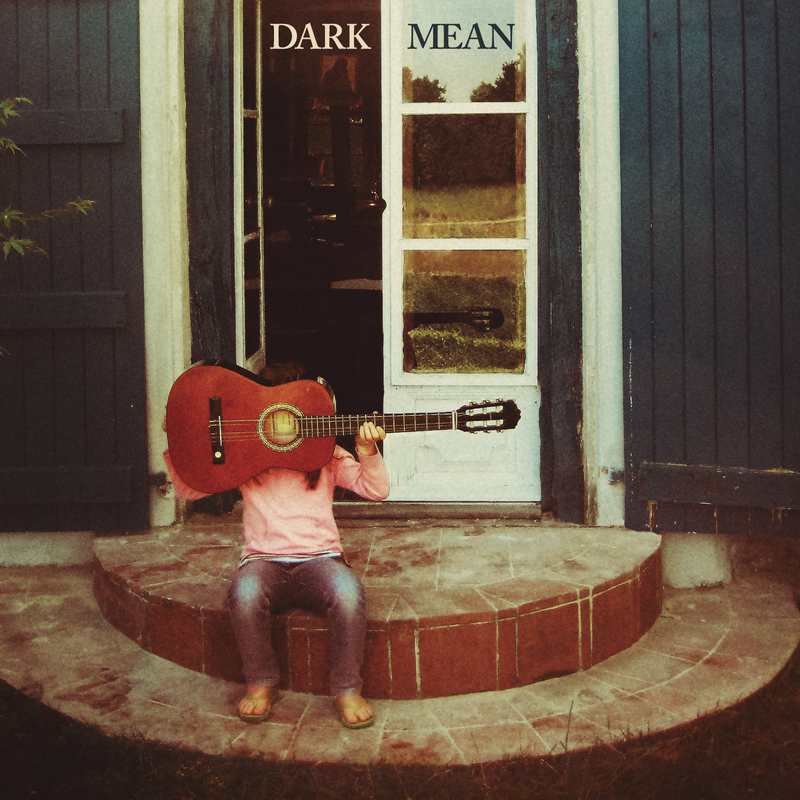 But for me, it’s when Dark Mean come over all introspective that they’re at their best. Combining all the best elements of ­­Happy Banjo, Smoke Lake and all of the above, with a reflective twist that brings out a passion that only complements the musicality already in place. ­Old Man is a great example of this – slowly building into a dramatic crescendo before dissipating back into the darkness from where it began. It’s Finland though that captures Dark Mean – painless and pristine drums provide the backing for a laid back yet subtle beginning, before the harmonies and fragility give way to a interweaving of brass and guitars that are brilliantly simple. It sounds easy and yet you can really hear the passion and hard work. Overall, it’s really an excellent record – flitting from melodic pop to edgy indie to reflective crescendos shouldn’t be as smooth as this, but it is. Song names aside, it’s an addictive and uplifting record that never loses sight (or sound) of what’s good, or perhaps more importantly, what’s good for Dark Mean. Buy the album from their Official Store or Bandcamp. Visit them on Facebook, Twitter or MySpace. Below is the excellent Finland and the releatively contrasting Smoke Lake. You can also grab Happy Banjo for free via their Bandcamp.